Built 1911-1913 by Hanns Kornberger as a gymnasium ("Turnhalle"). 2005 converted to a concert hall. 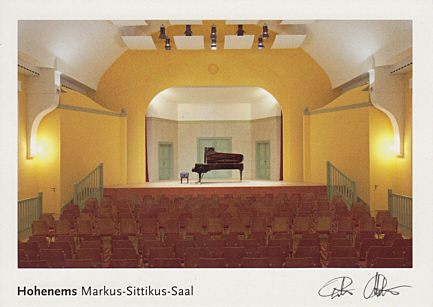 Renamed "Markus-Sittikus-Saal" in honour of , Markus Sittikus von Hohenems (1574-1619), archbishop of Salzburg. 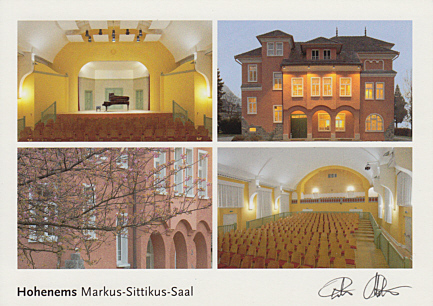 Used for concerts by the "Schubertiade" music festival.